January 3 is marked as the tenth day of the 12 Days of Christmas. 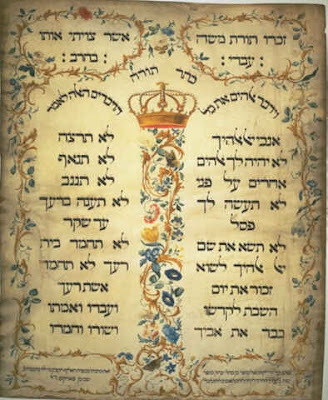 The Ten Commandments, also known as the Decalogue, are a set of commandments which the Bible describes as having been given to the Israelites by God at biblical Mount Sinai. 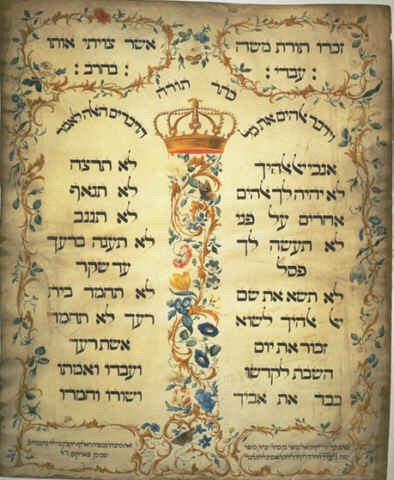 The Ten Commandments are listed twice in the Hebrew Bible, first at Exodus 20:1–17, and then at Deuteronomy 5:4–21. Both versions state that God inscribed them on two stone tablets, which he gave to Moses. According to New Testament writers, the Ten Commandments are clearly attributed to Moses (Mark 7:10, see also John 7:19).